Mercedes COMAND is the in-vehicle control and information system installed across the Mercedes-Benz range. From COMAND you can navigate with GPS, make and receive phone calls and, of course, play music from your music collection. Pertinently, COMAND has a screen built into the dashboard that has got slowly larger and larger down the years. 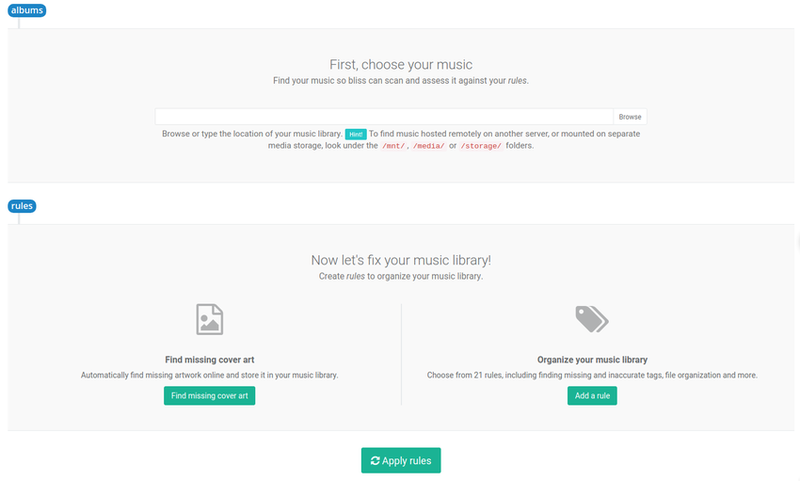 This is a great place to display album artwork to help you navigate your music collection. I've had a few requests for ways to use bliss to ensure album artwork can be displayed on in-vehicle displays. I covered Audi MMI here, BMW iDrive here and Ford SYNC here. Now it's Mercedes' turn! Why is there so much discussion about showing album artwork inside in-vehicle displays? I believe it's because of album art's importance within a music collection. It helps us find music to play, and displaying the artwork for the record that is playing makes for a better music experience. Like with the other in-vehicle systems, COMAND has its fair share of problems displaying album artwork. So I did some research to collect what the rules are that COMAND imposes upon album artwork, and we can then apply this to bliss to make sure your album covers show up inside your Mercedes! All music players, in-vehicle or not, impose rules on the album artwork. That is, they locate and display the artwork in a given way that means the covers must be stored in an agreed location, and they must have certain properties. The artwork must be embedded within the music file. The artwork is only loaded when a USB connection or SD card is used. There is some disagreement about the maximum resolution. I have seen some suggestion that the upper limit may be as low as 400x400. I'd advise you to go with 500x500 and only revise down if you experience a problem. It may be related to the individual car model; different models have different versions of COMAND with different size screens, which may impose a limit. When connecting a music library to COMAND you can also use Bluetooth. However, album artwork is not displayed using this method. There's some suggestion that PNGs work best. If that's the case it would be unusual; most software tends to prefer JPGs. However, if that's the case for you, I'd love to know. All of these rules (apart from the USB one - that's down to you) can be codified in bliss. So let's fire bliss up and get fixing! bliss works on Windows, Mac and Linux. First, download and install bliss, following the installation instructions. We can now set the COMAND's album artwork rules as laid out above. 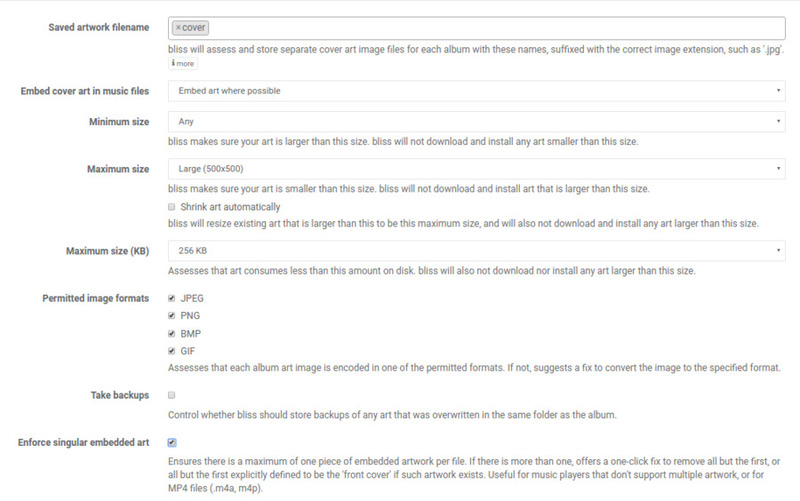 Set Embed cover art in music files to Embed art where possible (the default), change Maximum size to be Large (500x500) and Maximum size (KB) to be 128KB. Yep, that maximum size setting isn't perfect, I previously said it should be 100KB. However, it's worth trying with 128KB the first time and go back to this setting if there are some albums that don't show. You can check in the bliss user interface what the current size of the artwork is. You can check Shrink art automatically to reduce the resolution of artwork without your say-so. Otherwise, size reductions will be offered subsequently in a one-click fix. Note there's no such setting for the maximum data size. Each album is assessed against the above rules. 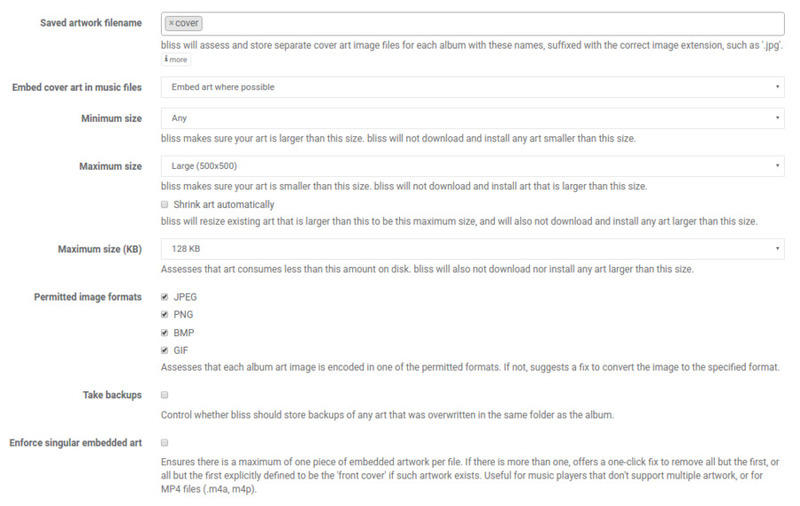 If the album is missing artwork, bliss will automatically find artwork of the required size and install that. If existing artwork is too large it will either shrink it (if Shrink art automatically was checked) or mark the album Non-compliant. If an album is non-compliant a one click fix will offer to reduce the size of your artwork, whether in terms of resolution or data size, or strip extraneous embedded artwork. You can hasten the process of fixing these using the Inbox to Fix all visible. I hope that helps fix your COMAND album artwork! Thanks to M93 for providing an excuse for me to share an image of one of my boyhood dream cars!